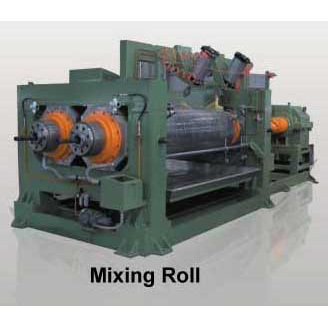 Mixing Mill - Shine Kon Enterprise Co., Ltd. Roll: bored roll alloy chilled cast iron. Bearing and housing with lubrication oil holes. Emergency push button on and emergency rope on top for operator.